Even now, it still seems utterly unreal to me that we have lost a talent as hilarious and enduring as Robin Williams. It's especially hard to believe that Williams died via suicide, but his memory still lives on in the hearts and minds of the many fans whose lives he touched or changed while he was still with us. Naturally, the actor was still in the midst of a healthy and vibrant career, so it comes as no surprise that a clip has been released from Williams' final role in Absolutely Anything. 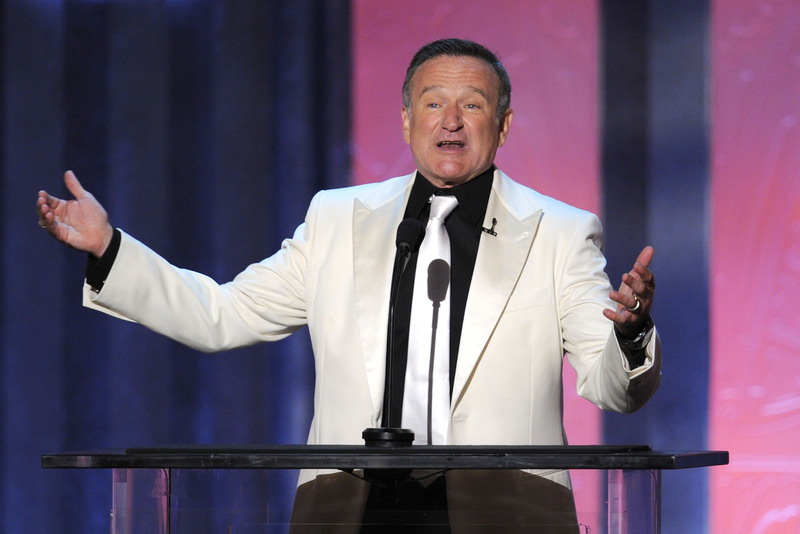 According to The Wrap, the comedian was working on the film shortly before his death in August — and, as with practically everything Williams did, the results were absolutely hilarious. The film follows Simon Pegg as a teacher who is given the ability to do anything he wants by a band of aliens. In the clip, he uses this magical talent to read a book and eat a meal without the use of his hands, then to make his dog, Dennis, able to speak. The voice of Williams coming from the mouth of the world's cutest dog will melt your heart, even when you tune in to the actual words long enough to realize he's discussing biscuits and shagging. Why Pegg is British and Dennis the dog is American doesn't get explained in the clip, but who cares when it's an excuse to make use of Williams' broad and varied voice acting talent? The film doesn't yet have a U.S. premiere date, but British audiences can enjoy the movie in Spring 2015. However, I sincerely hope that the film gets released stateside as well, because it seems fitting that we should get to see Williams as a live actor in Night at the Museum 3 and now Williams as a voice actor in Absolutely Anything. Both roles show off that talent we all knew and miss so much.